The convenience and far-reaching nature of the internet have made it possible for millions to be presented with an opportunity to monetize any skill and talent. Because of that, there are many YouTube stars out there. People who have been able to earn an audience through the creation of content that is about entertainment,education and being just awesome online. The reason why most people often start a YouTube channel is not to make money. In fact,you are often surprised pleasantly by the opportunities presented for you to make money on YouTube. As per various estimates, the top YouTubers are thought to earn money in the region of millions and there are some users even earning tens of millions. 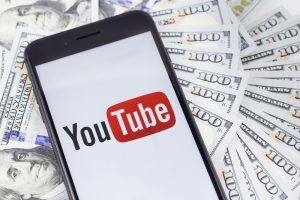 Your earning potential on YouTube is not determined exclusively by factoring the subscribers and viewership numbers that your channel and videos have garnered. The engagement level that you are able to generate, your niche, and even the channels for revenue that you are exploring are as important. Consequently, here are the various ways on how to make money on YouTube. YouTube partners refer to the members or users of YouTube who have videos monetized with a huge number of viewers. Partners are able to win various prizes per their viewers’ numbers and have access to more tools for content creation. YouTube partners are also able to get access to the community support and tips. You can become a YouTube partner through application via the page for YouTube partner. For you to gain access to the Partner programs that are the most powerful, over the last ninety days you need to have garnered cumulative watch hours of 15,000 for your channel. If you have been able to produce a viral video having a mass appeal then you can license your content to the media in return for cash. The content created can be something just like a funny clip that features your dog. Online news sites,morning shows, and TV news outlets apart from other creators of content may reach out to you to acquire the rights to use your viral videos. There are also other online marketplaces such as Juken Media that allows you to be able to post your content to make it easier for the appropriate people to find it and buy. Serious brands or businesses are increasingly investing in affiliate or influencer marketing. The brands are spending a good amount of their marketing budgets on influencers that have been able to win the loyalty of their respective audiences. This definitely presents to you with a great opportunity as an influencer if you are able to strike or negotiate the best deals possible.You can earn around $200 per every post if you get a good deal. Often, it is money that stands between an idea and realizing or executing the idea. In such a scenario, crowdfunding will help greatly. You may need money for hiring actors, buying the latest equipment or covering other associated production expenses. If your idea is great then turning to your audience and of course, the crowdfunding community is advised. sneak peek of your video project. Your potential financiers will be able to have a taste of what you are promising. One popular and legit crowdfunding site you can use is the Kickstarter. Just for those who really like making video either being on screen nor back screen just like myself. Here is what something that have been really helpful for myself since last year and i really think that I will do the same for you.